The digital audio/video (AV) production process has long been associated with the use of giant towers that are packed with state of the art computer editing equipment. Those days might be coming to an end, as AV editors are no longer tied to their desks. Quick editing changes can now be made from poolside or at your favorite coffeehouse with one simple click on the keyboard. Top AV editors are constantly looking for laptops that offer ultra-fast processing capabilities and superior versatility to effortlessly transfer a wide range of files in different formats. The specs for the Apple MacBook Pro will have all AV editors envious, as the laptop display allows individuals to make the necessary edits while the full user interface remains on their screen. The internal system is top-notch; with plenty of flash drive storage capability and the widely popular Intel processor to bring difficult files to life. The one drawback to Apple’s AV editing programs (Final Cut Pro, Motion and Compress) are they’re only compatible with the OS X system, so you will need a MacBook Pro laptop to use these sophisticated AV production programs. If you’re looking for the ultimate desktop alternative, then the Hewlett Packard 17 Mobile Workstation might be the best laptop for audio video production. The 17-inch display monitor might not be the ideal companion for editors that constantly travel, as this laptop might not be conducive for making quick editing changes on cross-country flights. However, they will love the multiple ports available to transfer files in any format provided. Plus, the built-in SD card allows an editor to immediately export the project in sections to the client. This 15-inch laptop is one of the most versatile units on the market, largely because it offers a high-end graphics card and detailed audio system that simplifies the AV production process. With all of these top-line configurations, it’s hard to imagine that ASUS doesn’t offer much in the potential of upgrading your laptop, which is rare in this ever-changing digital world. Despite the long-term limitations, this laptop can go head-to-head with any other brand and come out the victor in completing complicated assignments ahead of schedule. First-timed editors must consider ASUS is the best laptop for audio video production, but you may need to purchase additional equipment if you need a more advanced editing system. 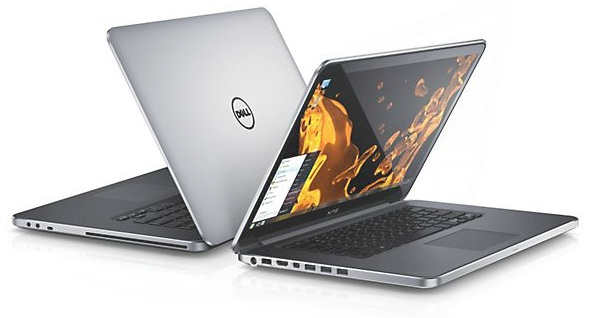 No question that the Dell has made a significant upgrade in the technology offered inside each of their laptops. Beginning AV production companies that are looking to make a name for themselves should look to Dell, as they offer high-resolution laptops at reasonable prices. Each model has a built-in three-way card reader, which makes importing footage from a hand-held camera a much easier process during tight deadlines. The best laptop for audio video production has transformed the editing process into a mobile enterprise where the user can edit on-location rather than in an office. The technological advancements inside laptops have allowed editors to be flexible in where they can set up shop without jeopardizing completing projects on time.